A few weeks before I left for my Chile vacations MIL took me to one of my new favorite stores 99c! it's crazy how much stuff they have all for 99c. And even tho I would not buy things I need quality, why not get the ones I need quantity? Step Uno – First you will need to start marking your chopsticks, I marked 1/2″ on the top and the bottom, do that very light on the back of the chopstick (the plain side without the center crack) but depending on how you want it to look you can do it the other way, I just really liked the pattern left when they were all together. 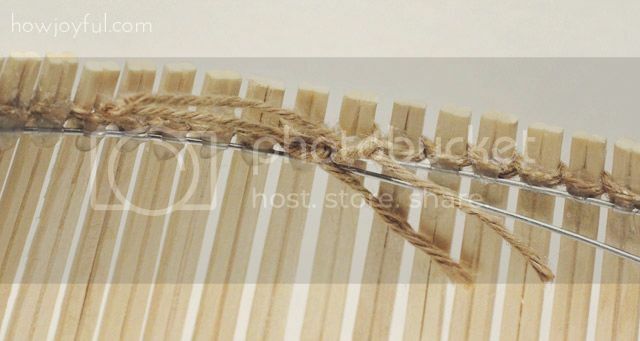 Step Dos – Cut 4 long pieces of hemp twine, mine were about 3 feet, but I end up cutting a long excess, but I would recommend you to have a long extra than missing so 3 feet is always save =] make a loose knot at the beginning, use the mark in the chopstick to hug it with the hemp, place a tini drop of hot glue in the back of the chopstick to secure the hemp twine to the chopstick. Step Tres – Repeat the same process for the bottom, I found it easier to do 3 at a time. Tie 3 on the top, then do the bottom and repeat. 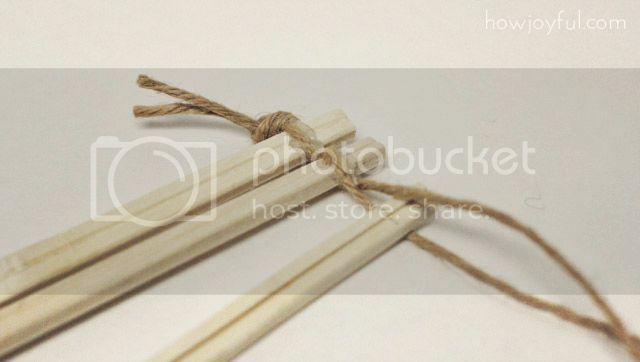 Remember to always cross your two pieces of hemp twine in the same direction to have a clean look. 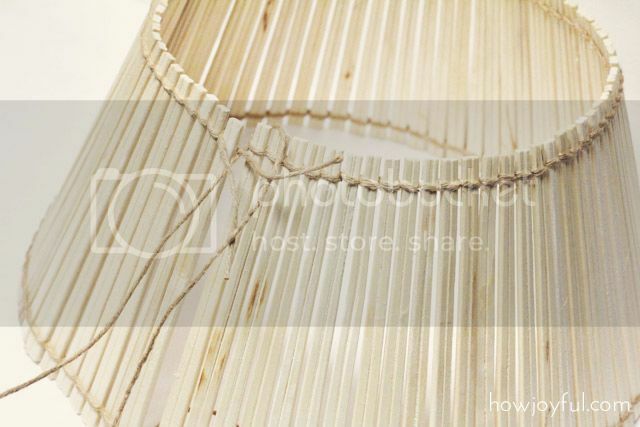 Step Cuatro – Now repeat and measure how long you will need your piece to be, I didn't use all my chopsticks because I was happy with the size I had, if you are using an old lampshade use it as a reference and measure with it. Step Cinco – Once you have the length you need, untie the knots you did at the beginning carefully. 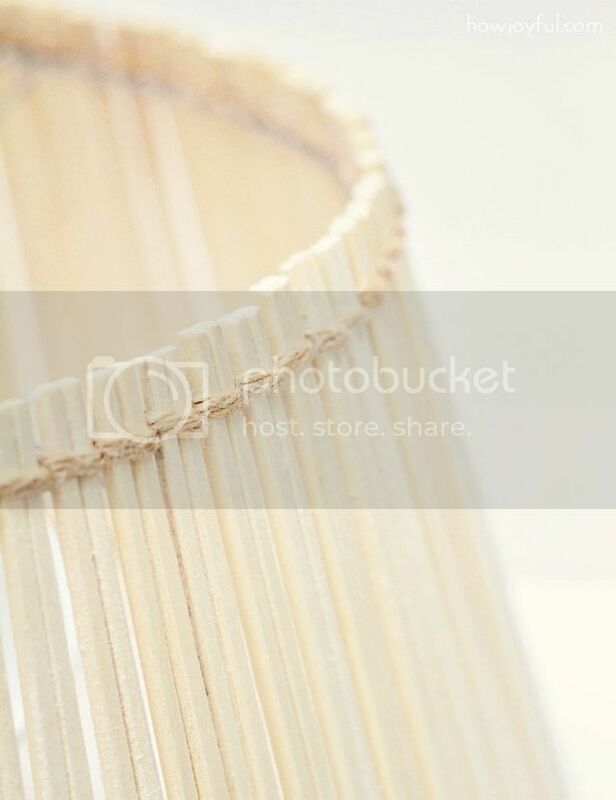 Step Seis – After that start hot gluing (I would recommend you to start in the center and then go to the ends) your chopsticks to the old lampshade frame or your wire if you want to do your own structure. I did but on my next, I will use an old lampshade for sure because I didn't really like making my own when I can get the structure for a dollar or so at a thrift store. 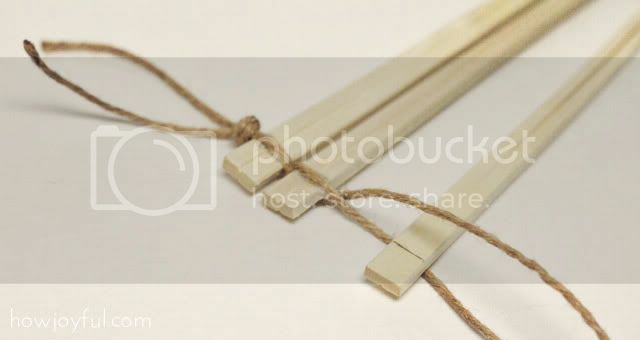 Step Siete – Once at the end, what I did was double cross my hemp twine from my fist and last chopstick, like shown in the picture. Repeat that in the top and the bottom. for a clean look I cut and hot glued the ends on the inside. 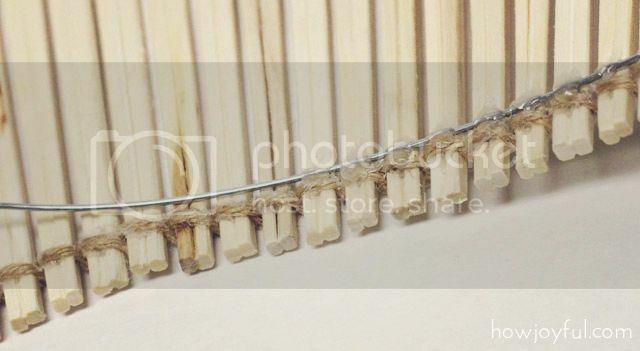 I love the raw feel that the wood and the hemp twine have together, but I was thinking about making a different one and play with bright colors or maybe just a tint for a darker brown. I hope you all enjoy and I'd love to see pictures if anyone attempts this cute and simple lampshade =] Since winter is coming, this was my first attempt making a tutorial at night to test my indoor pictures, that way I have no excuse to not make tutorials when the days and gray (my less favorite days ever) – So I hope you like it! Hello there! I’m a weddingbee reader and found your great blog through there. Love this great tutorial. Looks pretty easy and cute! I added you to my feed and I can’t wait to read more posts from you! i loved this tutorial! 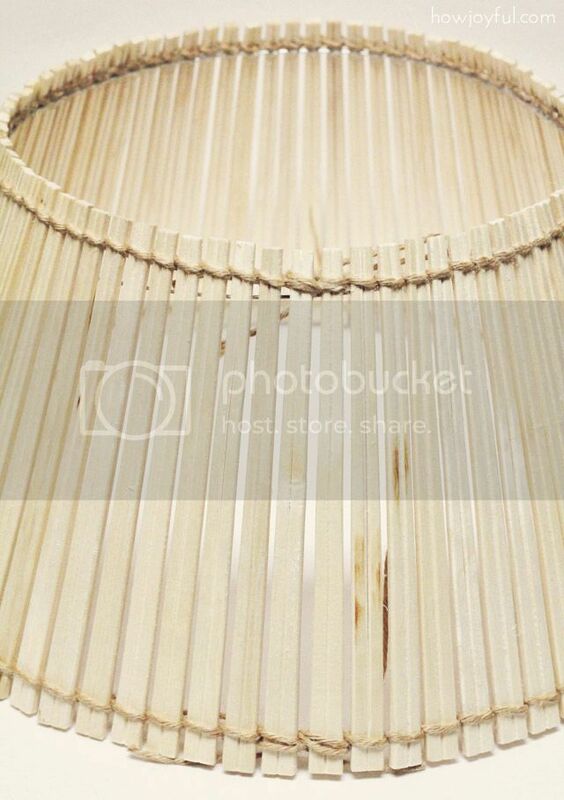 you are so talented who knew that chopsticks could look so great in a lampshade! Thank you. This is fantastic! What a great idea!! 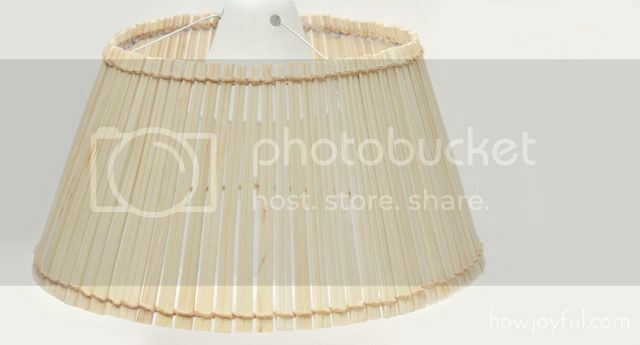 This lampshade looks incredible and sooo cheap!! Thanks for sharing! This is awesome! I have a lamp that has been shadeless for a year! (bad crafter!) I can’t wait to try this one! Thanks for sharing! Hugs! 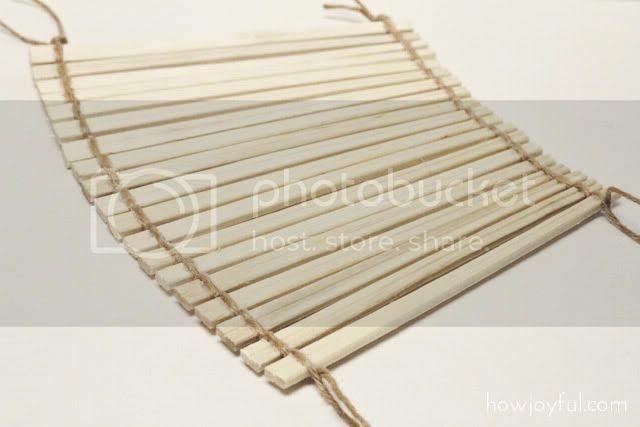 I read on another blog recently that you can make a small dye bath using a little of the liquid dye and water to dye clothespins. I bet you could do the same with this shade if you wanted a bright color. The blogger said she rinsed her clothespins several times so the color wouldn’t transfer onto the papers/clothing she was going to hang. I’m not sure you’d have to rinse this though. 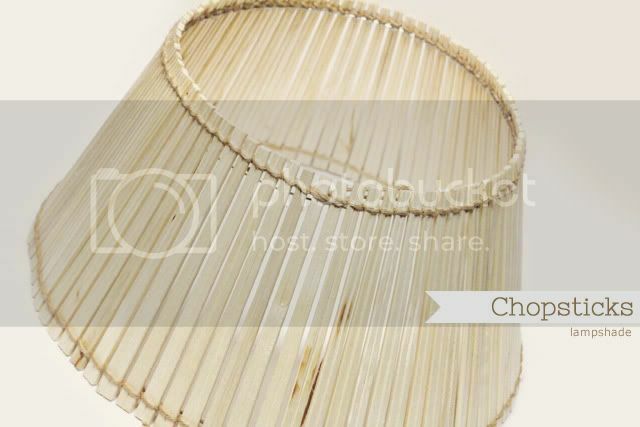 I used spray paint after I finish mine to change the look, but I am sure you can die them before making the lampshade, the wood of the chopstick is probably not as absorbent as clothespins, but i would definitely give it a try! Let me know how it goest if you try it =] So I can update the tutorial with your experience, Have a good day! Hola al fin encuentro alguien que hable castellano en alguno de los tantos blogs que sigo, soy adicta a las manualidades y me encanto tu pantalla. La voy a poner en practica. Soy de TUcuman, la provincia mas chiquita de argentina. Te envidio todas las cosas que debes poder comprar allá para hacer manualidades. Acá no dejan entrar nada. Hasta los alfileres son espectaculares allá. Bueno no te aburro mas , saludos. Hi, great idea! I’m actually making one for my grandmother who is Japanese for Christmas. How do you do the middle that will actually set on the lamp? Oh, and I’m decorating mine with just Japanese symbols for love and family in black paint. Simple idea that goes with the theme. Thanks! This is such a great idea! 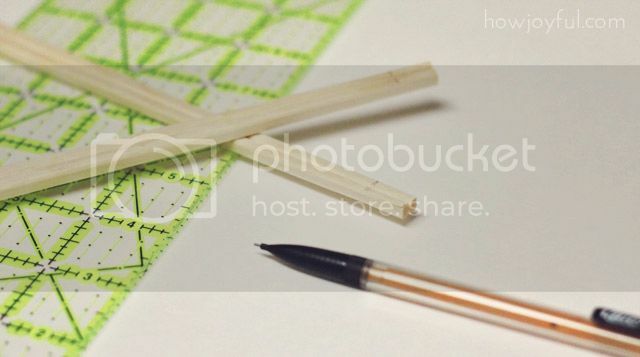 Just a question tho: did you use normal glue sticks with the hot glue gun? I read somewhere that hot glue gun comes “unstuck” with the heat from the bulb? Is there a heat-resistant glue that I can use instead? Appreciation to my father who told me about this website, this weblog is truly amazing.